Collected dirt and debris easily washes out with just a rinse. Designed to reduce the chances of scratching the vehicle. One side chenille microfiber, and the other side microfiber with a sponge layer. The perfect gift for car enthusiasts! Allows you to wash your vehicle using only water. 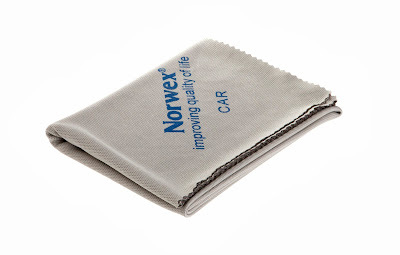 The Car Cloth is made from extremely fine and tightly-woven microfiber which helps prevent the fibers from holding dirt that may scratch your vehicle. Should be used for polishing surfaces or for light regular cleaning. Use slightly damp on car windows, mirrors, chrome and other smooth surfaces. Use the Car cloth for drying and polishing after normal washing with the Car Wash Mitt. No more streaks. Your car stays shiny and repels dust and dirt for longer periods. • Use the Car Wash Mitt to ensure that all dirt and debris are removed from the surface. • Dry surfaces quickly with Car Cloth before water evaporates. Preferably wash your car out of direct sunlight or in the cool of the day. 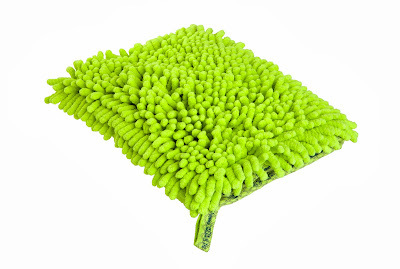 Start by dusting internal surfaces with the Dusting Mitt or a dry Enviro Cloth. Hose the vehicle down starting with the glass, then the panels from cleaner higher panels toward lower dirtier ones. Wash the exterior of the vehicle with the Car Wash Mitt. Finish by drying the vehicle with the Car Cloth.